Broadcast engineers and operators are always looking for better, more efficient ways to contribute and distribute video. It’s especially true for sports broadcasters and live-TV producers, who regularly deal with backhauling live, high-action, multicamera, multisource video and audio. The challenge is maintaining perfect video genlock and lip sync across multiple cameras. 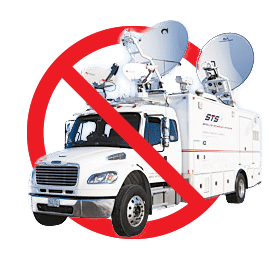 AVIWEST’s HE4000 4K UHD & HD HEVC live encoder and PRO Series bonded cellular transmitter with SafeStreams® technology do just that. A far less costly alternative to traditional telecom or satellite connections, the HE4000 sends video through the public internet or unmanaged networks, which are practically free. Bonded cellular capability can be added to the HE4000 using the optional QUAD CellLink active antenna. For greater mobility, the PRO Series of bonded cellular transmitters provides a camera-mount or backpack alternative to satellite that is ideal for multicamera, remote integration (REMI), and at-home productions. 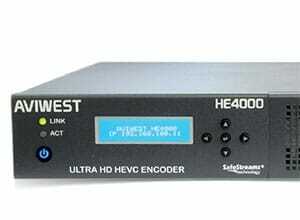 Inherent in the HE4000 encoder is AVIWEST’s patented SafeStreams transport protocol, which provides reliable, broadcast-quality video transmission over 3G/4G cellular, LAN, Wi-Fi, satellite, and the public internet with advanced forward error correction, dynamic automatic re-requests (ARQ), and up to 100 percent redundancy. SafeStreams automatically recovers dropped packets through dynamic 2D forward error correction. 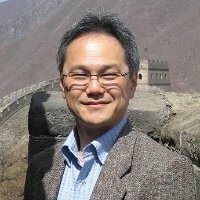 Additional lost packets are recovered using advanced ARQ. 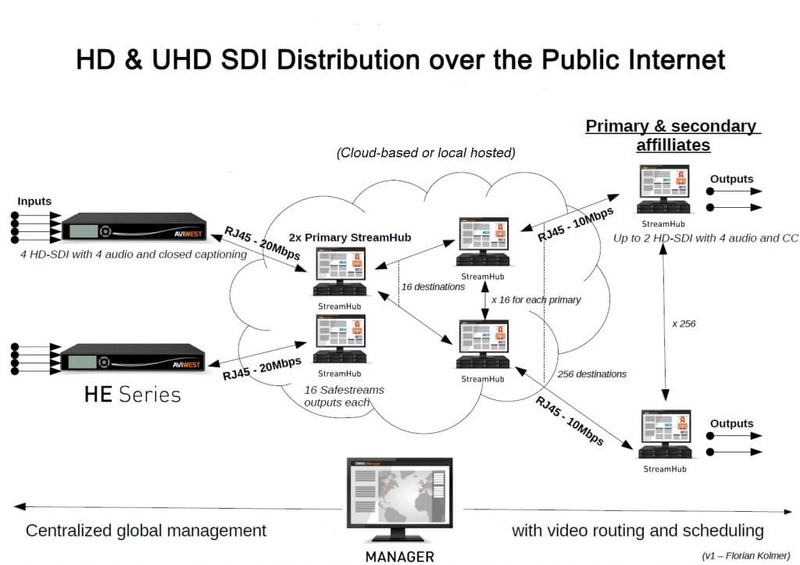 SafeStreams lets users record, store, and forward HE4000 4K UHD and HD contents at low bit rates. 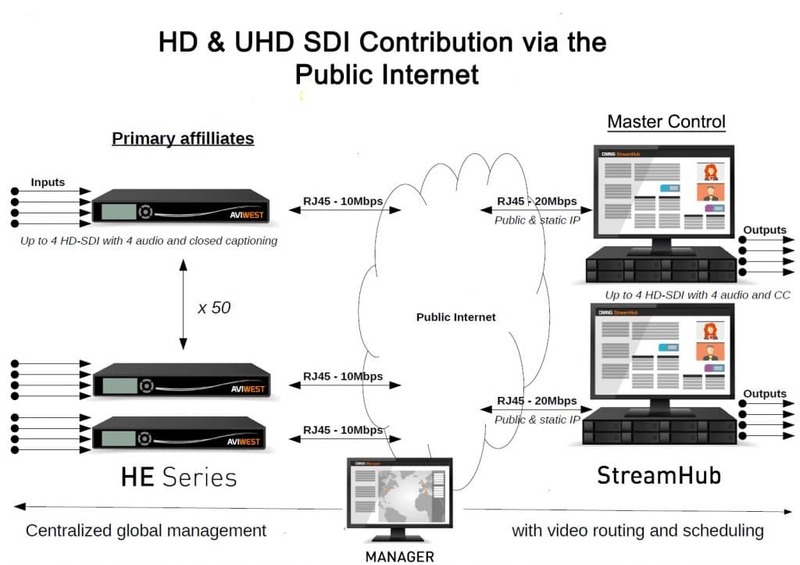 It gives the HE4000 the ability to transport 4K UHD and HD content over the public internet at data rates as high as 100 Mbps. Furthermore, it bonds up to 11 IP connections (up to eight cellular, two LAN, and one Wi-Fi) to create the biggest possible transport pipe. LAN connections can be a telecom circuit, public internet, satellite, and more. When using the HE4000 over cellular networks, the use of one or two QUAD CellLink is required to provide up to eight modems with high gain antennas.